My wife and I frequently take to the back roads on our travels. 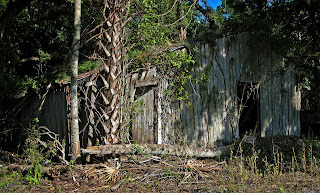 We were heading to Fernandina Beach and found this old abandoned structure about 10 miles east of Bunnell. I didn't know what the building was but some people on my facebook page have identified it as a smokehouse. It is located on some property with a clearing that contains an intact brick chimney where a house used to stand so it makes sense that it is an outbuilding. It had no doors or windows othere than what is shown in the photo. The only thing new was the barbed wire fence around the entire property so I couldn't get any closer than this. 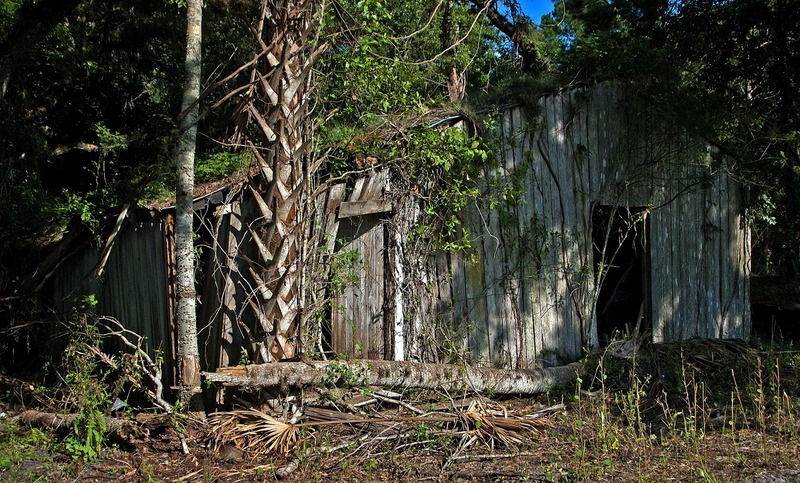 I really wanted to turn over some of the palm fronds and scrap wood and metal roofing because this looked like a prime place to find some snakes.